Busy time of year haven’t updated the Report for a few weeks but the fishing has been insanely good. With nice catches of speckled sea trout and plenty of redfish! Merry Christmas to everyone! 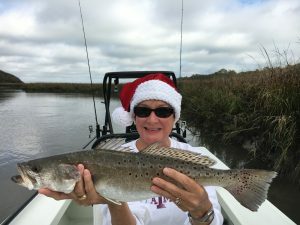 Let’s start off the new year by catching some nice inshore fish in Jacksonville! Book your fishing charter today!